Bob Cut is a local culture magazine that produces compelling content for online / print platforms that cater towards curious mind. Bob Cut serves as an open forum for readers who strive to learn and to do more. Begun in January of 2015, Bob Cut was founded in the ever changing landscape of San Francisco, California. 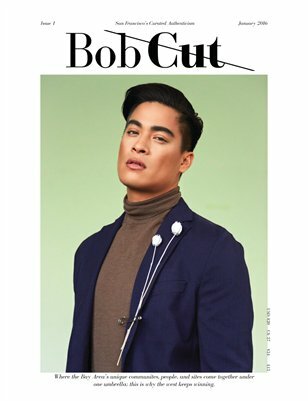 Bob Cut focuses on delivering readers new content weekly that involves fashion, food, interviews, art, and beauty.